©2014 18" x 18" From 1861-1865, more than 8,000 instances of hostilities occurred across 23 states. Major battles were part of organized campaigns that had direct impact on the direction, duration, conduct, and outcome of the Civil War. Well-known campaigns include Gettysburg, Antietam, Bull Run, and Shiloh. 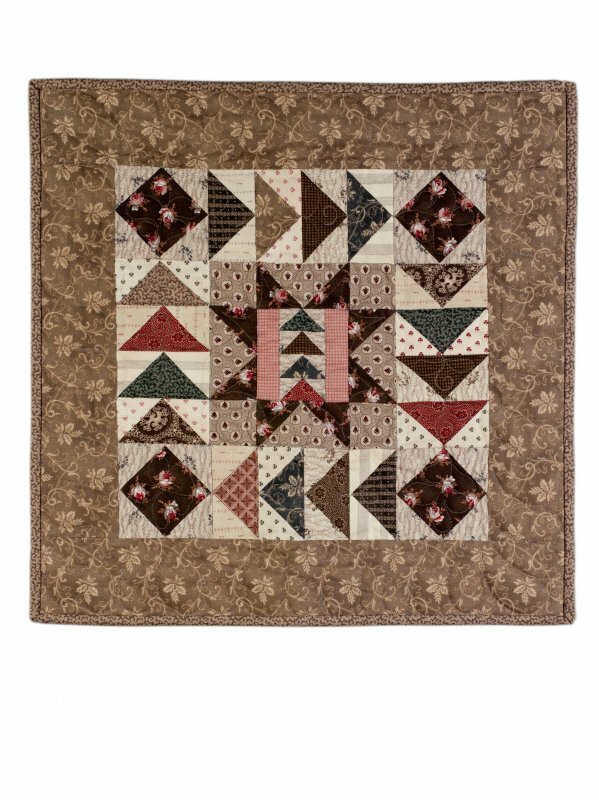 This small quilt is just the right size for a table topper, basket filler, doll quilt, or small wall hanging.